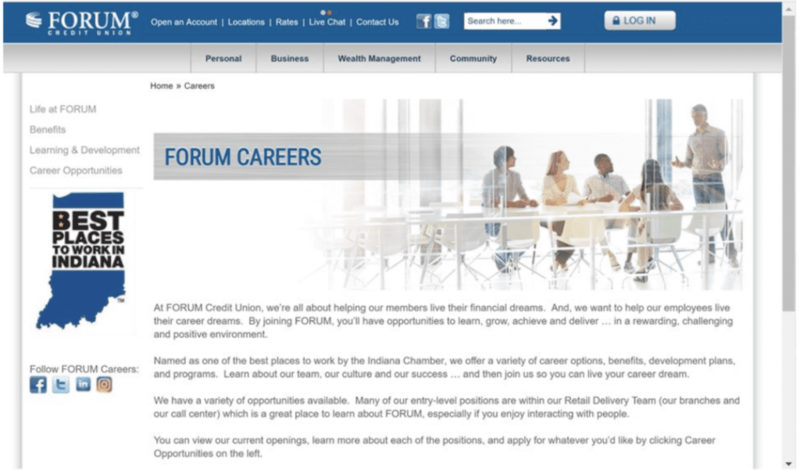 Are you ever embarrassed to send candidates to your careers site? Are your pages in dire need of an upgrade, but it seems like too daunting a task to even consider? We’ve all been there! As have the practitioners and speakers from our recent webinar Love Your Careers Page Again, sponsored by Workable and Glassdoor. 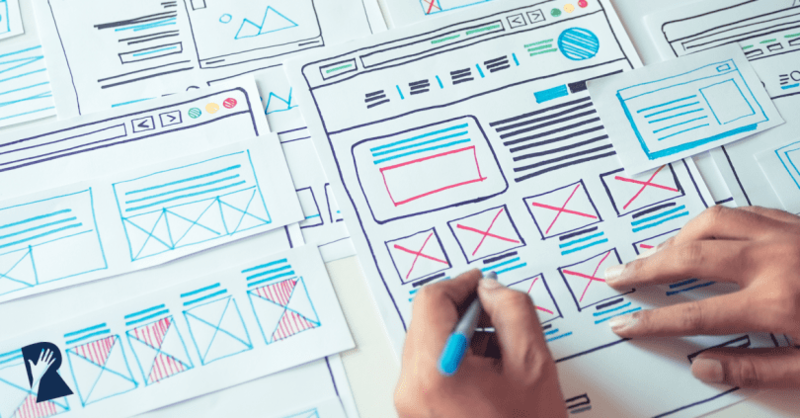 In this webinar, experienced practitioners share the steps they took and the lessons they learned while updating their sites to provide a more user-friendly candidate experience. You can still watch the full recording on demand, but if you only have time right now for the bite-sized takeaways, here’s our pick of the top tips shared during the webinar! 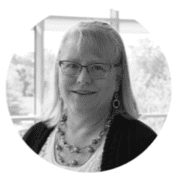 Elisa Abner-Taschwer has worked in the HR and Talent Acquisition space for 20+ years for a number of organizations across multiple industries. Today, as Talent Acquisition Manager at FORUM Credit Union, Elisa loves contributing to the FORUM HR team’s goal of “helping employees live their career dreams”. Chris Laskowski is a Marketing Manager at New Home Star, where he’s worked for the past 6 years. 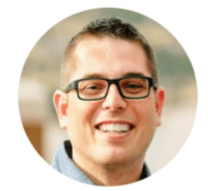 Prior to working with New Home Star, Chris was a Marketing Manager at Synergy Builders Inc. He also founded and ran his own marketing agency for several years right out of college. You don’t need to have a full-time dedicated Recruitment Marketing person in place to upgrade your careers site. 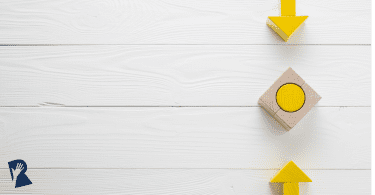 While it will certainly help to have a Recruitment Marketer lead up your careers site revamp, you can still start the project before you have a full-time resource in place by partnering with an internal team in marketing or with an external agency. Elisa’s team is composed of 6 recruiters. Although none of them have marketing experience, they were able to successfully partner with an agency to execute on a new careers site. 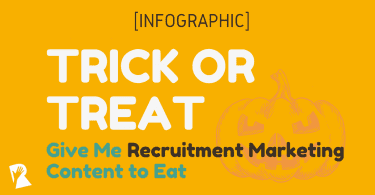 If you’re planning to go the third-party route, Elisa recommends picking an agency or vendor that has specific experience with Talent Acquisition rather than a general marketing vendor. This will ensure the process will go smoothly as they’ll be able to advise on how to create a site that best responds to candidates’ needs and links up to your ATS. 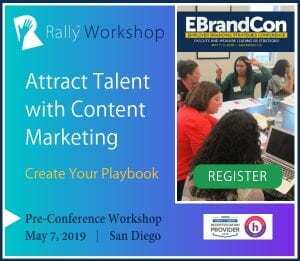 Determine what content to include by considering what candidates want and researching your hiring competitors’ careers sites. 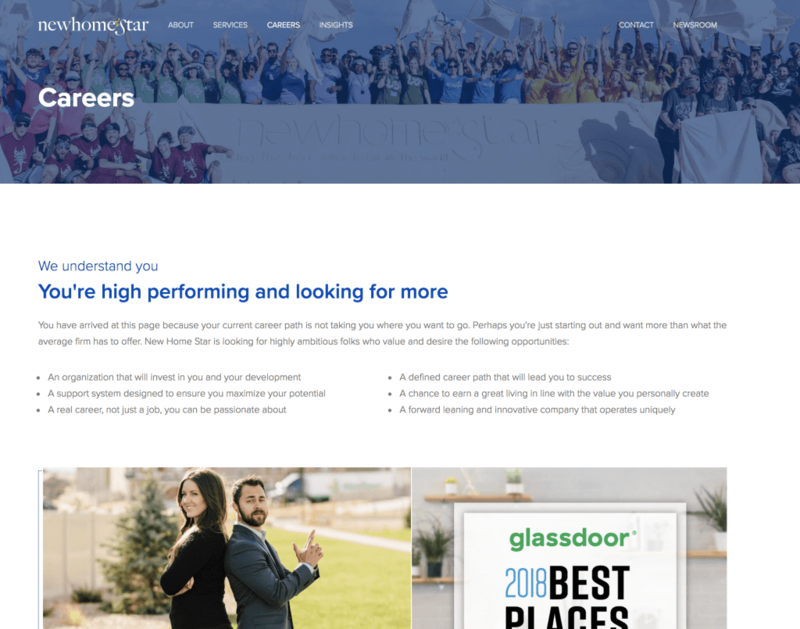 Elisa and her team surveyed their employees to find out what they think candidates most need from a careers site to inform what content they included on their new site. They also reviewed other company’s careers sites and made a list of things they liked and disliked for consideration. Based on this research and feedback, Elisa’s team decided to focus on their awards (like Glassdoor’s Best Place to Work in Indiana) and the culture and perks that earned the team those awards. 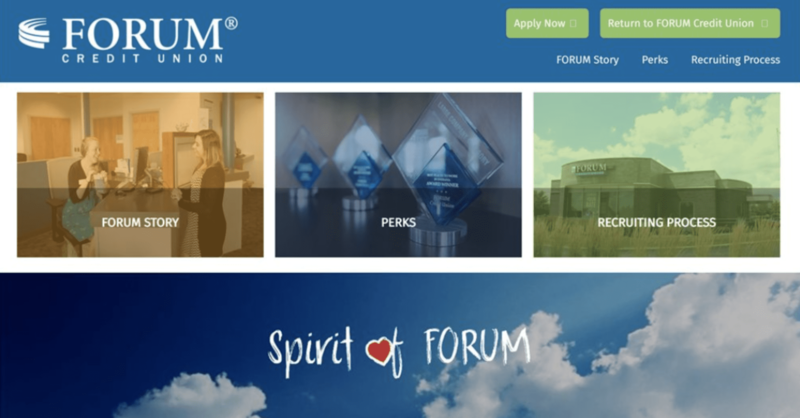 They highlighted their team’s numerous charitable giving initiatives, which they identified as unique to FORUM in terms of the number of events supported annually. Pro tip: According to research conducted by Aptitude Research Partners, the top factors that influence a candidate to consider joining an organization are: 1) salary and compensation, 2) company culture, 3) company reputation, 4) interviews with managers and 5) a company’s mission and values. Try to consider how you might provide info on each of these important factors on your careers site! Consider investing time in candidate persona research before building your new careers site. Chris’ team launched off their careers site project by first determining who they were creating the careers site content for. To figure out their candidate personas, the New Home Star marketing team worked with HR to identify the top 20 performers over the past 12 months. They analyzed what types of companies they came from, and how many years and what types of experiences they had prior to joining. The social energizer – someone with a ton of energy, the life of the party. These types of people perform really well in sales roles. The business professional – someone with a high-level degree, aspiring to a leadership role one day. The business athlete – can have a different educational background, but at the end of the day they’ve played collegiate sports and that type of experience allows them to be very committed, they’re good at making things happen. 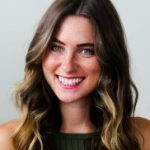 More information on how New Home Star creates campaigns and landing pages geared towards these personas is coming up soon in a Rally blog post by Chris! Once you know who you’re talking to, find unique and visual ways to grab their attention and showcase what’s great about working at your organization. The New Home Star team has a great career path defined. 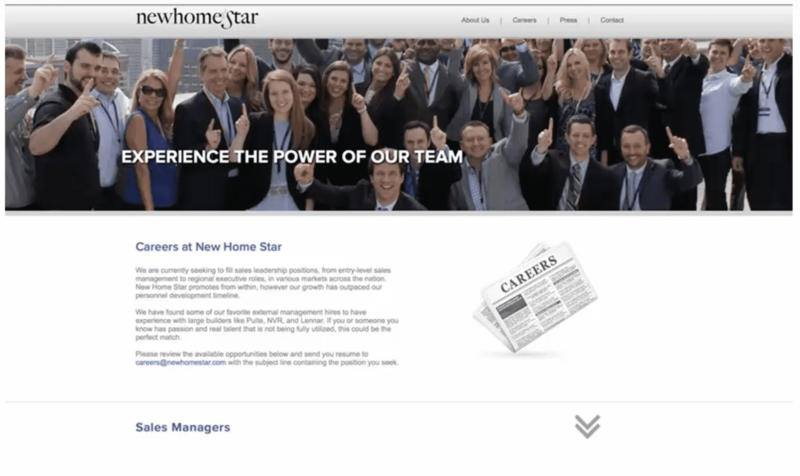 Because they polled employees and learned that career growth was one of the most attractive features, the team took the time and space to really highlight the career journey that motivated individuals might experience with New Home Star. We hope you find this information useful! Feel free to reach out and let us know your top lessons learned from your own careers site revamp projects on the Rally Facebook page.